November 9, 1938: Kristallnacht, or “The Night of Broken Glass” across Nazi Germany. This fateful night, when the Nazi’s terrorized, burned, smashed businesses and homes belonging (primarily) to the Jewish population. However, targeted individuals also included homosexuals, individuals with physical and mental health disabilities, and many more based on a variety of different reasons for persecution. Thousands of people were arrested and immediately sent to concentration camps. Police turned away, and this night has not been forgotten since. November 9, 2017 was the 79th anniversary and memorial of this horrid night. 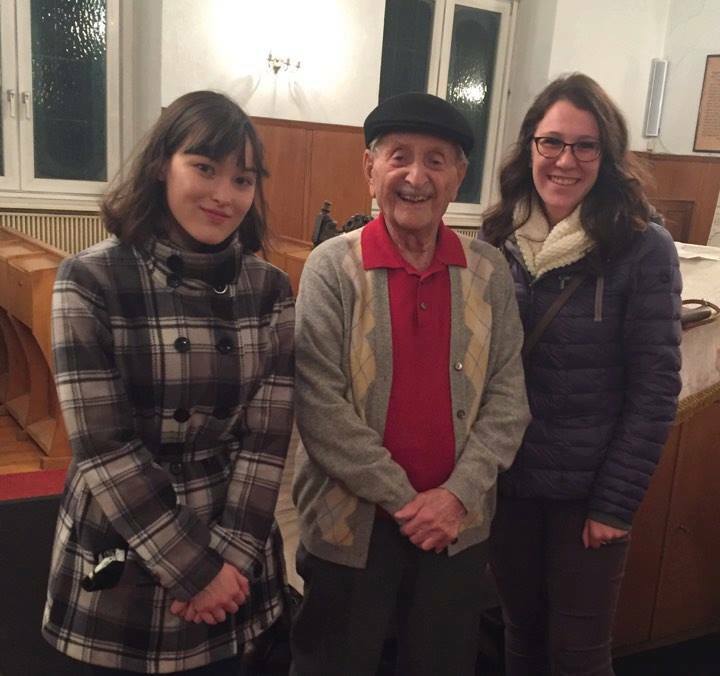 University of Portland Salzburg offered an opportunity for UP students to attend a memorial commemoration event which honored victims of Kristallnacht throughout Salzburg. I gathered with a few students and went to the Jewish Synagogue in Salzburg, which had been burned in 1938. 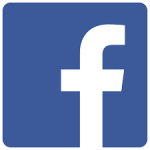 Marko Feingold, a survivor living amongst us in Salzburg, shared his story. 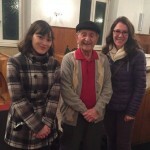 Marko Feingold is the head of the Jewish community in Salzburg; He is 104 years old and survived through three different concentrations camps! It is miraculous that Marko survived and is able to affect so many peoples’ lives. It was humbling to learn his perspective: Marko said his survival was due to a combination of lucky and divine circumstances. Marko relayed several circumstances in which he knew he was just inches, breaths, minutes away from his own death. Then suddenly, a soldier would send him on an errand, or he would be routed to a new camp; it was completely perfect timing and a small burst of energy that would keep him going. After the liberation of the concentration camps, there were still unsafe circumstances for Jews. Marko assisted over 100,000 Jews find refuge in Israel. He has founded multiple projects and organizations over the years to help people first hand and initiate remembrance efforts. It is absolutely incredible that he is still with us at his elderly age and able to continue to educate those around him! Watching Marko share his story was powerful and moving to those who heard him speak, instilling wonderful reflection and enabling ashes to become something beautiful. 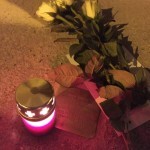 After listening to Marko speak, the students went throughout the city center of Salzburg, on a candlelight walk. 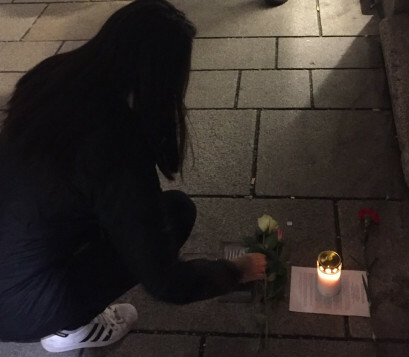 Stopping at various Stolpersteine to remember individuals’ stories, we laid a rose or a candle, reflecting on the impact history has made. 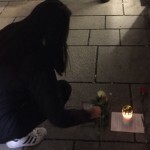 This brings awareness even to local Austrians, many who go about their days and do not notice or are not informed about the Stolpersteine, the people of Salzburg who were lost. 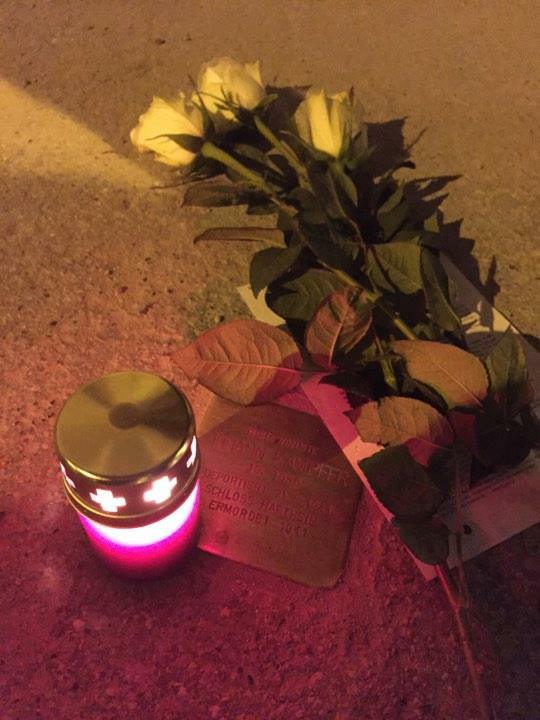 The UP Salzburg students from last year sponsored a stumbling block for Johann Kamper. It was recently laid in the pavement in September of this year. Part of our memorial included paying tribute to Johann Kampfer. Students were eager to participate in the Kristallnacht memorial, recognizing the vital importance of never forgetting, keeping people aware of history, and ensuring the UP community continues to honor and support the lost individuals of Salzburg. A view of some of the garden.